TWO MORE SLOT SOAR INTO FLY CASINO! Instant Win – awards a cash prize. 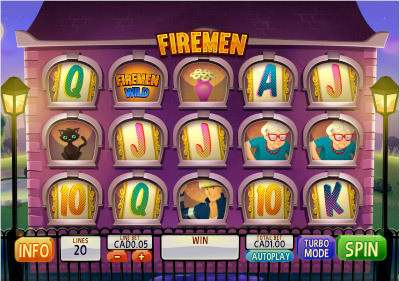 Firemen Wild – all the burning scatter symbols will become wilds. Inferno Bonus – all symbols will turn into flames. Click on them reveal cash awards. 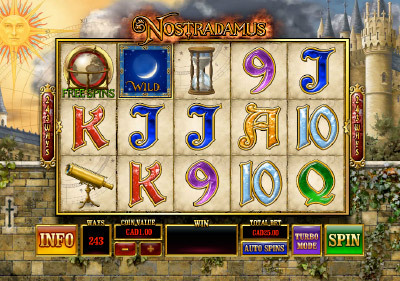 New to Fly Casino, Nostradamus online slot is a 243 ways to win game. Nostradamus was a sixteenth century French prophet that was known for making predictions. Many people say that Nostradamus has predicted many world events, others don’t believe any of it. Built with sharper graphics, instant win bonus features and so much more, this new game at Fly Casino is a jackpot just waiting to be won. We predict it! VALUE MONDAY! From 00:00GMT until 23:59 GMT, all members are invited to receive a 110% bonus up to 110.00 on your deposits of $/£/€10 or more. 160%! From 00:00GMT until 23:59 GMT, all members are invited to receive a 160% bonus up to 160 on your first deposit of £/€/$100 or more made.